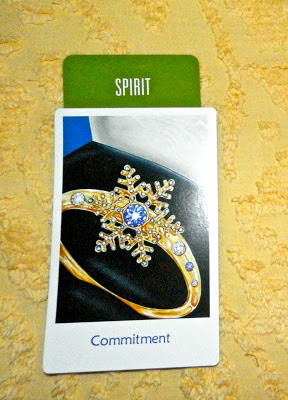 Today's Draw: Commitment from the Snowland Deck in the Spirit position from the Deck of 1000 Spreads. What would you sacrifice to commit to a higher power? Would you be willing to hand over the tightly held reins of your life? Would you be willing to break away from pack thinking and pack action? I believe there's a place in our spiritual journeys where we reach a personal tipping point—do we stay where we are or do we go for the gold? And by that, I'm talking about reaching a point where you believe in some sort of higher power or great mystery, you've established a connection to this energy, you've become a better version of yourself, you're a pretty "good person", you're pretty good to others....and that's enough. You've gotten further along your path than you imagined and you feel your work is done. Sometimes reaching that place feels like you're truly done. There's no further to go...or not much further to go. You're definitely in the upper percentiles as far as enlightenment is concerned. You're good. And you know what? There really is no need to go farther. However, I'm choosing to venture beyond that and explore what I call "doing the hard things". We talk about them sometimes on this blog. For example, taking your faith to a place where you can sit solidly in the midst of uncertainty or even foreboding and KNOW nothing ever goes wrong—everything is on your side. Or say someone has done you bad and, instead of following the urge to seek your own justice, you trust that God will sort things out, and you let go of the situation. Or resisting the urge to demonize those who wronged you and, instead, finding genuine forgiveness and compassion for them. I call these things the hard things, because that's what they are. It's easy to trust God's got your back when things are going ok to well. It's harder when things aren't looking so good. So you turn yourself over to worry and doubt, maybe even pray to God to watch over you (as if he ever stopped.) Because certainly he wouldn't have put you in such a situation had he been looking over you, right? The "hard thing" is to trust that God put you in whatever situation you're in because he does love you and *is* looking out for you. The hard thing is to never doubt in the first place. See what I'm saying? It's just a level beyond. It's a level beyond the culturally trained responses...the normal human responses...we have. It's about true release...letting go of control over the aspects of your life and whatever you think others should do or be in order to be "right" in this world. And are you going to be 100% at this? No. But you're going to retrain the way you respond to the stimuli around you. And it's hard because our responses are so deeply ingrained in us....and our urge to steer the ship is also so deeply ingrained. 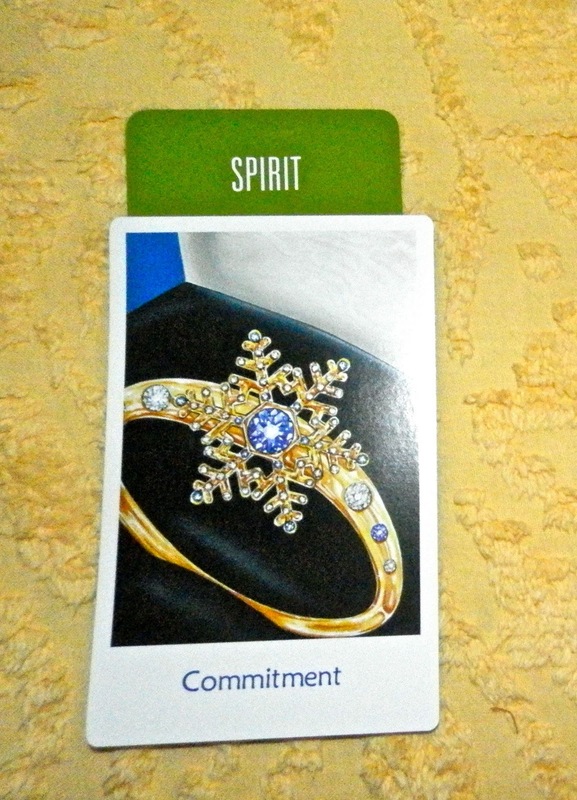 So all of this is a long way to saying that today's card combo is about your commitment to your spiritual path. How committed are you? Are you going to take it as far as you can in this lifetime, challenging yourself to change and grow and tackle the hard things until your last earthly breath? Or are you just happy knowing your God and being and being more decent than most? One of the things I've seen in areas where I've ventured past the tipping point is that a) it's lonely out there and b) you can get vilified for not joining in the witch hunts and shunning that people are wont to do when they don't trust God's divine justice and wisdom—when they're trying to control and contain every little detail around them. Embracing "the least of us"—or even the uniquely flawed—as part of the community is one of those hard things I was talking about. Rejecting them is pretty much the cause behind every senseless slaughter in our history. It was certainly the spirit behind Nazism...reject what's different, allow only what the few deem acceptable. So if you're going to embrace and forgive and see others as mirrors of yourself...if you're going to see your "enemy" as your teacher...then you are a threat, a scourge that must be dealt with. It sounds ugly. But that's what you're doing if you can't move beyond that particular tipping point and love your enemy as you love yourself. So there are times you'll wonder what you're doing this for. If you continue your journey past the paved path, you'll come across a number of these "difficult things". There are more societal rewards for those that stay on the pavement. But ultimately there's more clarity, connection, freedom and genuine security for those who do. You never stop being a fallible human. But you do begin to see things differently when you manage to shed your sheepskin and see through the eyes of your divine self. You sometimes see ugliness where you once saw "right thinking and right action". And you sometimes see beauty where you once saw ugliness. And, just as water seeks its own level, you somehow find others to travel the less trodden path alongside you. But you have to leave the approval of the masses behind when you commit to the hard thing. For some, that will be too high a price to pay in this lifetime. For others, it will be just the salvation they came here this time around to seek. Where do you fall in all of this? You bring a spiritual richness to Tarot that few do, Tierney. Thank you for moving (far) past the pavement and serving as an inspiration to others off the beaten path.